This Web site is for information about Cub Scout Pack 510 in Clarksville, Tennessee. We are a member of the Cogioba District which serves Houston, Montgomery,Steward Counties and Fort Campbell, KY in the Western Service Area of the Middle Tennessee Council. Our Pack is open to anyone to join. We are one of the newest Cub Scout Packs in the area. We are always in need of adult leaders, as well as new or returning Cub Scouts. Please drop us a line and we will set you up with a chance of a life time to help us grow. Our Pack is chartered by American Legion Post 289. Pack 510 meets at The Barker's Mills Elementary School. You do not have to be a member of this School to be a Cub Scout in our Pack. Our Cubmaster is Mr. James Wood. His email is: jameswoodjr83@yahoo.com and his phone number is (254) 290-4041. We have a very active Pack Adult Committee and our Pack is always in need of new and former Cub Scout Leaders, Our Pack Committee Chair person is Ernest Schmidt. 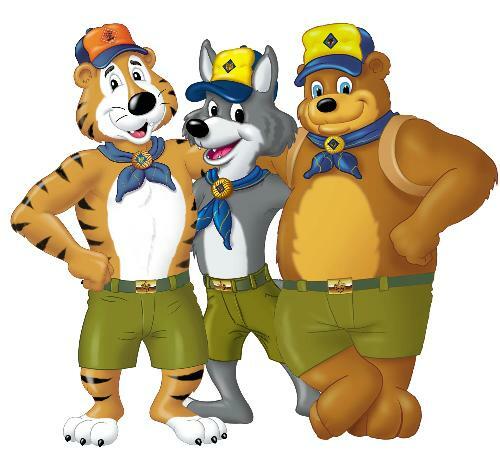 If you are interested in Cub Scouting or Boy Scouting in any area just come by and see us or contact our Pack by email. Pack 510 is a Cub Scout Pack in Clarksville, TN chartered to American Legion Post 289 here in Clarksville, Tennessee. Most of the Scouts attend public schools, but we do have boys and girls that go to private schools, other public schools and that are home schooled. We welcome boys of all backgrounds and abilities. We are proud of our excellent record for providing a high quality program. Our leaders and parents enjoy being part of the Pack almost as much as the boys! Cub Scouts is a year round program for boys and Girls,kindergarten through 5th grade. The majority of activities take place during the school calendar year, but there are opportunities throughout the summer including day camp and resident camp. The core values of Cub Scouting include Citizenship, Honesty, Health and Fitness, Respect and Courage. Our main goal is to have a fun and safe program. We like to help our scouts grow. Our activities include camping, cave trips (Dunbar Caverns), Adventure Science Museum sleepovers, Pinewood Derby, Nashville Sounds games, fishing and so much more. The activities and requirements for the boys will change in scope and difficulty as they get older. As Tiger Cubs in 1st Grade there is a lot of family involvement in all activities. When the boys become Webelos in 4th and 5th grade they are given opportunities to work as a patrol and begin the preparation for transition to Boy Scouts. Please come join us for a scouting adventure that will make memories for a lifetime. 8. Provide input to the Den Leader or Pack leadership with regard to Pack or Den programming. And to actively participate in the Cub Scout program. If you are a new Parent joining Cub Scout Pack 510 please feel free to down load this power point briefing on the Pack 510.